The Business Administration Degree from Central Carolina Community College will ready students for a successful career in the business field! Business Administration is among the top 10 college degrees in demand. Business degrees are the most widely recognized in industry and enable graduates to earn jobs in finance, retail, manufacturing, construction, and service sectors. Jobs are not likely to decrease in demand. Salaries of recent graduates range from $25,000 to $45,000. Business is a dynamic and growing field that offers graduates a variety of opportunities for career success. Students in the Business Administration program at CCCC will take classes in management, marketing, economics, accounting, finance and law. The wide range of business classes that we offer helps students prepare to become well rounded business professionals with the skills necessary to succeed in the ever changing business environment. All of CCCC's Business Administration instructors have real world industry experience. As part of the business degree, students are required to complete a co-op, where they will put their knowledge into practice while working at a real business. One of the most constructive things you can do for your career development--and eventual job search--is to participate in a co-op program. Surveys show that co-op experiences are the number one way that employers look for new hires. Improve writing skills and oral presentation skills through developing, writing, and presenting a major course project. Demonstrate a proper understanding of the workings of free market system and its underlying concepts. Apply quantitative and qualitative decision-making tools and analytical methods to solve problems faced by organizations. Demonstrate understanding of the legal environment of business. Perform research and analysis to identify and explain target markets. (MKT 120, BUS 230, BUS 280). Demonstrate knowledge of contemporary practices in leading and managing people in all types of organizations. 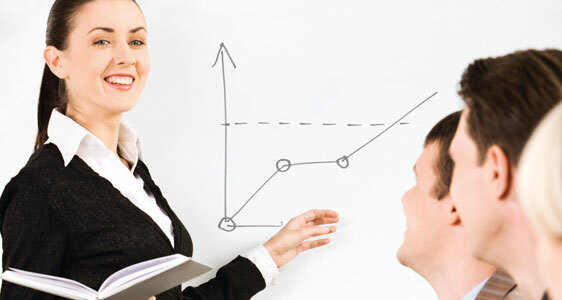 Demonstrate effective written and oral presentation skills in business documents and in response to business situations.